What Caused This Creepy Hubble Telescope Image of Jupiter's Red Spot? 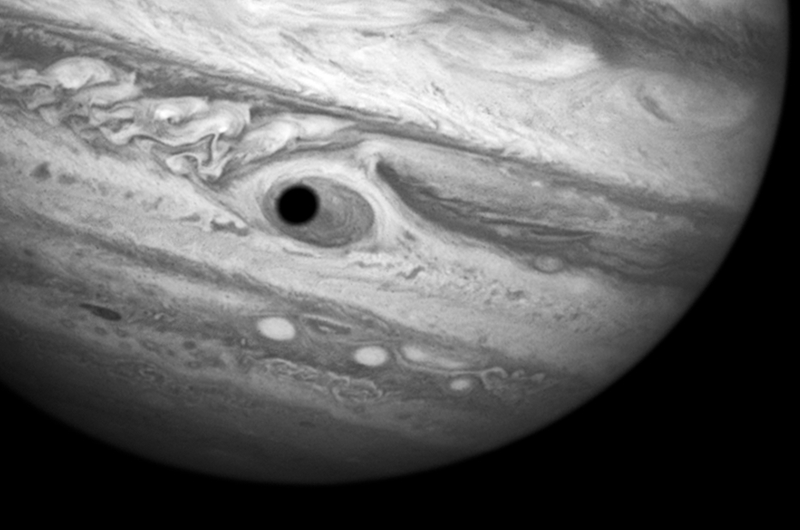 Hubble was monitoring changes in Jupiter's Great Red Spot, when it captured this uncanny image of a dark circle moving across the face of the storm. It's the shadow of the Jovian moon, Ganymede, as it swept across the center of the spot. This gave the planet the uncanny appearance of having a pupil in the center of a 10,000 mile-diameter "eye." For a moment, Jupiter "stared" back at us like a giant Cyclops.